Preemie parents struggle to find balance. When our baby comes home from the NICU, we want to celebrate. We want to have everyone over to ooh and ahh over the tiny being. We want so badly to have a “normal” experience with our baby. But we are also painfully aware of the risks involved. When doctors began talking about our son, Jax, coming home, they simultaneously talked about the importance of isolation. One of our doctors told us “the most effective way to prevent sickness and re-hospitalization is to limit exposure.” No contact, no germs. Maybe it’s not time to celebrate after all. Unfortunately, some preemie parents get resistance from family about their decision to keep their preemie in isolation. So here’s what I have to say to those people. Babies who are born prematurely are different than full-term babies. First, premature babies have under-developed lungs and often require life-support and breathing tubes for days, weeks and even months. An important goal for every premature baby is to breathe on their own. Unfortunately for some preemies, this doesn’t happen. 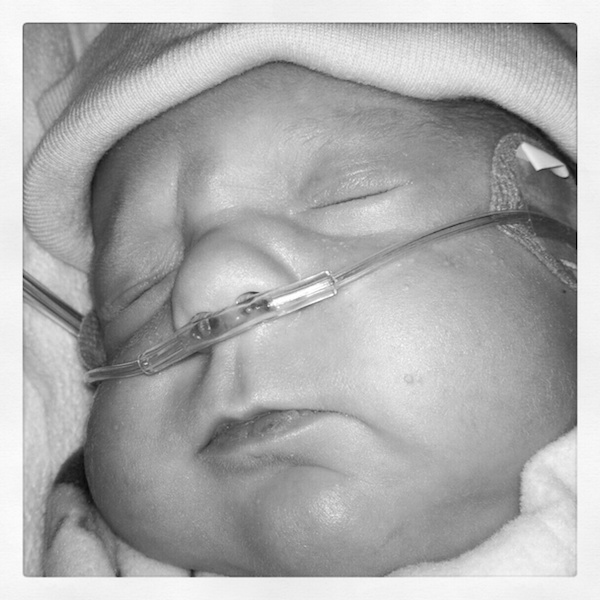 Some preemies come home on oxygen support or on a ventilator. Their tiny lungs are not capable of keeping them alive without the help of a machine. When you put these two things together — immature lungs and a weak immune system — you have the perfect storm. A simple cold can cause respiratory distress and re-hospitalization. We know these things can be a drag. We know hand-washing can dry out your skin. (We will still ask you to wash and give you lotion.) We know you think your new boots are really cute with your outfit. (We think so, too, but we will still ask you to take them off.) We know you believe in alternative medicine. (We do, too, but we will still ask you to get a flu shot.) We know you have always heard that “babies need to be exposed to build immunity.” We know this isn’t true for preemies. We know this is different for you. It’s different for us, too. We know you want to see us! We want to see you, too. We miss you! But for now, we need to do what’s best for our baby. Isolation is a way to keep our baby healthy and out of the hospital. I know how much you love our child. So we know you’ll do everything you can to keep her safe, even if some of the things we ask you to do are out of your comfort zone. A version of this post originally appeared on An Early Start.